Jamaica is situated in the Caribbean Sea, south of Cuba and West of Hispaniola. It is the third largest island in the Caribbean. Jamaica's capital is Kingston. Incidentally, Kingston has one of the largest natural harbours in the world. Jamaica is on Atlantic Standard Time, which means that in summer it is one hour behind Eastern Standard Time and in winter it is on Eastern Standard Time. The national tree is the blue mahoe. "Lignum Vitae" translated, literally means "wood of life" is the national flower and is indigenous to Jamaica. It is renowned for its medicinal qualities. The national Bird is the Doctor bird "Trochiculus Polytmus", a species of the Humming Bird and lives only in Jamaica. The National Flag is tricolor, with a simple design of crossed diagonals in gold and triangles in black and green. 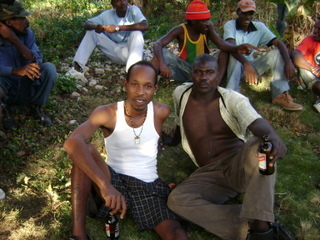 The official language is English, but patois is the common dialect spoken amongst the people. Patois is the creole combination of French, English, Spanish and African Languages. The majority of the population is of African descent, but there is a mixture of different races which has influenced the diverse physical appearance, culture and customs of the Jamaican people, hence our motto, "Out of Many One People". The climate varies from tropical to humid. Rainfall is seasonal; the wet months falls between May and October, which coincides with the hurricane season that extends from June to November. The average temperature averages about 75°F in the winter and 80°F in the summer. The Jamaican Dollar is official the currency used, but the USD is highly used as well, particularly in the tourist resort areas. The other major foreign currencies are all accepted. Credit card usage is popular and is an acceptable payment option. The Pound and Canadian are the other major foreign currencies used in Jamaica. Jamaica has a mixed economy with private and public sector businesses comprising same. 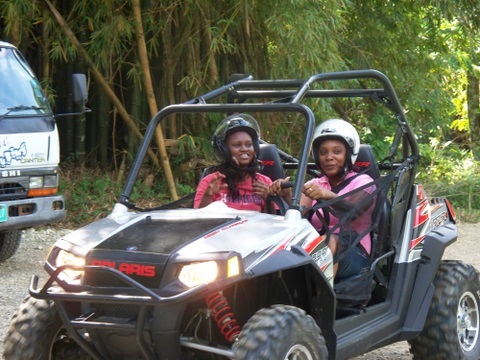 The main industries that contribute Jamaica’s economy are agriculture, mining, tourism and insurance. Tourism and mining are said to be the major foreign currency earners. 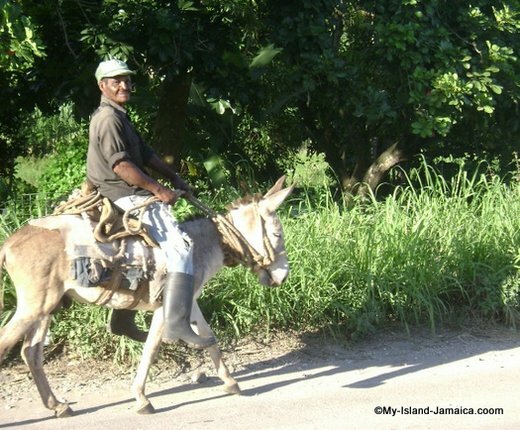 An estimated 1.3 million foreign tourist visits Jamaica every year. Jamaica is still one of the main bauxite exporters in the world. The bus and taxi system have different structures, tourist visiting Jamaican may travel via tour buses, taxis and privately owned vehicles. Taxis are generally assigned to different routes and different stations. 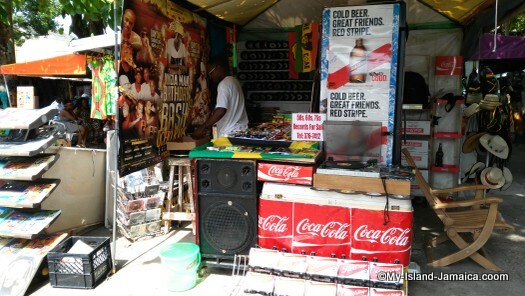 Jamaican music is a refreshing mixture of world cultures. The music consists of mento, ska, rocksteady, folk ballads, revivalist hymns, reggae and dancehall - which is a more up-tempo version of reggae mixed with hip hop and r& b.
Jamaica has contributed vastly to the world of music, we have some of the most celebrated artistes such as Bob Marley, Sean Paul and Shaggy. Christianity is the main religion in Jamaica and has many denominations. The other here includes Islam, Judaism and Hinduism. The foreparents of our Jamaican people brought with them varied cooking techniques, spices, flavors and recipes from all over the world. As a result, we have some of the most delicious cuisines in the Caribbean and the world. 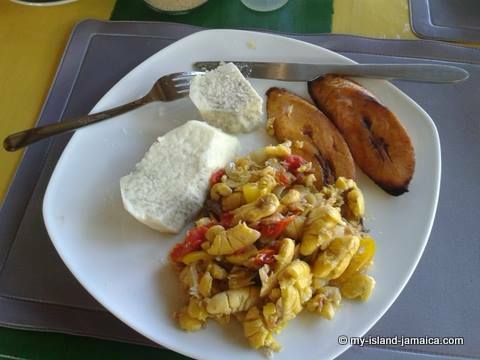 The national dish is ackee and saltfish (codfish) which can be served with different items like dumplings, boiled yams, boiled green bananas, roasted or boiled breadfruit, rice and even bread. Some foods are prepared specifically for holidays and events, while others are primarily for home consumption. Similar to coffee, and reggae, Jamaica's name is almost synonymous with sports as the country boast some exceptional performances various events. At the top of the list is probably track and field; producing some of the finest athletes in the world. Some of our outstanding track and field athletes include Usain Bolt, Asafa Powell, Shelly Ann Fraser and Melanie Walker. Who can forget the bobsled teams' performance at the 1988 Olympics Winter Games in Calgary, Canada. Education is currently free from the early childhood to secondary levels with the exception of the privately-owned schools.